From the dusty deserts of the Southwest to the icy heights of the Nordic mountains, the team's newest quest sets them against gigantic sea monsters, spectacular spirits and powerful legends. In the midst of their excursion, Kida discovers the awesome power of her city's enchanted crystals and, ultimately, must decide whether it is wiser to hide the Heart of Atlantis or share its light with the rest of the world. Hold your breath and get ready to dive into a world of excitement with the all-new adventures of Atlantis II: Milo's Return. While most of Disney’s direct-to-video (DTV) releases don’t seem very entertaining, at least most of them attempt real stories. Unfortunately, the studio’s started to put out a lot of ragtag compilations. These loosely connect a few different shorter stories under one umbrella. Add Atlantis II: Milo’s Return to that pile. The program follows the hero of the original film as he continues to live with Queen Kida (voiced by Cree Summer) under the sea. Milo (James Taylor) and Kida supervise the rebuilding of Atlantis begun in the prior flick, but intruders soon approach. These turn out to be friends, as we meet the other adventurers from the first movie: Audrey (Jacqueline Obradors), Moliere (Corey Burton), Preston Whitmore (John Mahoney), Vinny (Don Novello), Dr. Sweet (Phil Morris), Packard (Florence Stanley) and Cookie (Steven Barr). They come with tales of a monster who creates problems on the surface seas, and some suspect it may be a creation of Kida’s deceased father; he made nasties to keep folks away from Atlantis. Kida goes with Milo and the others to stop the monster, and they find a spooky burg called Krakenstad. Magistrate Edgar Volgud (Clancy Brown) rules the joint and definitely doesn’t welcome our friends. They investigate his connection to the creature called the Kraken and try to solve the mystery. For the second story, the gang gets a call from Dr. Sweet in the US Southwest. They learn of a sandstorm made up on killer sand coyotes and they suspect something Atlantean might be behind it. They meet Sam McKeane (Jeff Bennett), a prospector who survived the attack and knows a little about a particular rare object. It turns out that sleazy local merchant Ashton Carnaby (Tom Wilson) stole Sam’s crate of vital materials, so they confront him to get it. They also meet an Indian named Chakashi (Floyd Westerman) in the desert. Part of the Nashoni people, he wants to protect their ways from outsiders. The gang run into sand coyotes and other spooky weirdness while they attempt to get to the bottom of things. At the start of the third episode, someone steals Whitmore’s ancient Norwegian spear. We see Odin come in and take it, but we soon learn it’s probably a former competitor of Whitmore’s named Erik Hellstrom (Morgan Sheppard). He went nuts when he lost his fortune, and he wants the spear to effect “Ragnarok”, the Norse doomsday. The crew chase Hellstrom and try to get back the spear so they can prevent the end of the world. A cheap and shoddy effort, Return seems like a very lackluster product. One minor positive comes from the number of returning actors, though. Only Michael J. Fox (Milo) and Jim Varney (Cookie) don’t reappear, and since Varney’s dead, I can’t criticize the studio for his absence. Otherwise, the movie includes all the original performers, and the new supporting players present a lot of good folks as well. Too bad the product itself appears so flat. The various episodes feel like little more than rehashed Scooby-Doo material. The stories follow generic supernatural mystery plots and lead through the inevitable not-very-surprising surprises. The tales are bland and forgettable, and the execution brings no life to them. Animation follows the usual Saturday morning routine and presents stiff and jerky material. The film doesn’t even represent the original character designs well, as the personalities look choppier and less fluid than in the past. I’ve seen worse animation from Disney’s DTV material, but Return remains at the bottom of the pile. Is there anything distinctly good about Atlantis II? No. The original film wasn’t great, but it seems brilliant compared to this dull and uninspired product. The project doesn’t even bother to attempt a full story, as it just lumps together some unrelated episodes. Even big fans of Atlantis should find this clunker to be a disappointment. 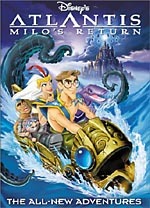 Atlantis II: Milo’s Return appears in an aspect ratio of approximately 1.66:1 on this single-sided, double-layered DVD; the image has been enhanced for 16X9 televisions. 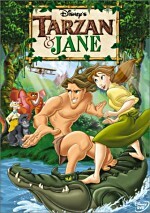 While the picture generally looked good, it fell short of the heights attained by Disney’s stronger animated releases. Sharpness looked positive. The movie appeared nicely distinct and accurate. I noticed no problems related to softness or fuzziness in this well-defined presentation. Jagged edges and moiré effects created no concerns, and I also noticed no signs of edge enhancement. Print flaws seemed non-existent, but the image did come across as somewhat noise at times and it appeared to display light levels of artifacting. The different episodes allowed for a wide range of colors to appear, and these tones looked bright and vibrant. The tones were accurately displayed and they remained tight and lively at all times. Black levels also seemed deep and dense, while shadow detail was appropriately clear but not too dark. Overall, the image seemed solid except for the light noisiness seen at times. 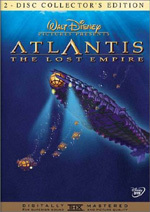 Atlantis II offered both Dolby Digital 5.1 and DTS 5.1 soundtracks. The pair largely sounded the same, though I thought the DTS mix was a little stronger. It seemed more dynamic and involving, but the improvements were not significant enough for me to bump up that track’s grade. The soundfield was fairly broad and engaging. Music demonstrated nice stereo imaging, and various effects helped created a fine sense of environment. Since the episodes provided lot of action scenes, these allowed the mix to come to life well and offer elements that moved nicely around the spectrum. The pieces were appropriately located and seemed well delineated as well. Some good split-surround material cropped up at times, but in general the mix remained oriented toward the forward channels. I felt the soundfield could have become more active at times, but it still did the job well. Audio quality also appeared fine. Speech seemed natural and warm, and I detected no concerns related to edginess or intelligibility. Music was bright and robust; the score seemed dynamic and presented solid bass response. Effects also demonstrated some nice low-end material, and they generally came across as accurate and lively. A little distortion marred a few explosions, but the track usually was clean and tight. Overall, the audio of Atlantis II worked well and earned a “B+”. Atlantis II includes only a few extras. We get one deleted scene. Called the “Kraken Baby Sequence”, this bit lasts 32 seconds. It adds a button on the final part of the Kraken episode, and actually, it makes sense. As currently depicted, the Kraken program ends oddly; it feels like something creepy should finish the show but it doesn’t. The deleted scene – which really just consists of about seven seconds of animation – allows the sequence to finish in a more sensible manner. Search for the Spear of Destiny gives us another in the seemingly unending line of games found on Disney DVDs. A fairly lame Dragon’s Lair-style contest, it doesn’t go much of anywhere. At least it gives you some small rewards for progress, such information about lost cities like Pompeii. As the DVD starts, we encounter a mix of ads. We find trailers for The Lion King, The Haunted Mansion, The Jungle Book 2, Stitch! The Movie, Bionicle the Movie, and Kim Possible. In addition, you’ll see these clips in the DVD’s Sneak Peeks domain plus a promo for 20,000 Leagues Under the Sea. 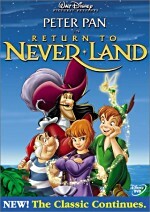 Occasionally Disney produces a fun and entertaining direct-to-video sequel. Atlantis II: Milo’s Return doesn’t fall into that category. Nothing more than a cheap conglomeration of Saturday morning cartoon caliber episodes, none of the pieces offer much amusement or excitement. The DVD offers very good picture and sound, but it includes only a few insubstantial extras. I wanted to like Atlantis II, but the release seems like nothing more than shoddily executed product. Fans of the film should stay away from this clunker.